It’s hard to envision how your house could become a brilliant beacon of holiday cheer, and our professional Tulsa Christmas Lights installation services will give you a fantastic idea and an exciting display that we guarantee will make your holiday magical. There are few things that are is frustrating as broken Christmas lights. It’s extremely difficult to find out which one is faulty and it can ruin the whole chain of lights. Green Leaf Lawn will maintain everything we install so that your home is a neighborhood showpiece instead of a headache which you contend to be. We also help you if you seem to be out of fresh ideas. Hard-working families are busy, especially as the holidays approach, and the last thing you want at this season is to spend your weekend shivering on the latter for hours wrangling endless knots out of your Christmas strands. Green Leaf Lawn is able to complete the job quickly and expertly which allows you to enjoy a well earned rest this holiday season. Give us a call today at 918-640-6405 to speak with one of our professionals about how we can service you and your family this year. Every year when the holidays roll around it’s important to take care of yourself and stay away from injury while installing Tulsa Christmas Lights displays. This is especially true when it comes to the cold weather and the slippery conditions outside. Green Leaf Lawn his experience and equipped to complete the job safely. In addition, many homeowners create fire hazards by improper use of cords, but we take every precaution when it comes to make sure that your home and family are protected. We do this so you’re not fighting the frost on most frigid January evenings, and you don’t have to dread the end of the holidays by all of the chores that normally stack up on your plate. Give us a call today and we can take care of all of your holiday Tulsa Christmas Lights needs at 918-640-6405. We look forward to meeting with all of our customers and giving them the very best services for their money. The only thing worse than setting up your own Tulsa Holiday Lights is the fact that you have to take them down in January. Green Leaf Lawn is a company that takes down all of our Tulsa Christmas Lights displays and stores them for the people that use our services. We also offer leaf cleanups from lawns and landscape beds in the fall, gutter cleaning, seasonal flowers and mulch, trimming back perennials, irritating and over seeding, holiday lighting, and snow shoveling through the winter months. We look forward to servicing you and providing your family with a beautiful home and lawn year-round. We offer services like weed control and fertilization, weekly lawn maintenance, flower bed maintenance, hedge trimming in shaping, leaf removal, sod installation, small tree removal and planting, small shrub removal and planting, spring cleanup since scalping, and fertilizing that starts with just rates of $35. One thing that really rings and they holiday season in a good way is Tulsa Christmas Lights displays. Every aspect of Christmas decorating includes lighting and is represented by different types of lights. When you are trying to decide on your outdoor Christmas decorations, make sure to include Green Leaf Lawn into your preparation. We are currently taking reservations for the next holiday season to install, maintain, and even store your Tulsa Christmas Lights displays. Regardless of your decorating goal, we offer one of the easy everyone to see. If you like to be have a little extra holiday cheer in your neighborhood, try our services whenever you need expert Tulsa Christmas Lights installation. When you use Green Leaf Lawn we will bring the ladders and we will bring the lights and we can make everything run according to your plan. Christmas is one of the most special times of the year and we look forward to getting to know you and your lawn specific needs during the holiday season. Book an appointment now at 918-640-6405, and we look forward to serving you and all of your families Tulsa Christmas Lights needs. Christmas is getting closer than you think and it’s easy to get caught up in all of the holiday madness and forget about taking care of Tulsa Christmas Lights. Make the call today and beat the crowd. Not only do we provide holiday health, but we are also a lawn service company that can help your lawn look beautiful year-round. We are dedicated to providing exceptional service to the people of Tulsa, Oklahoma. 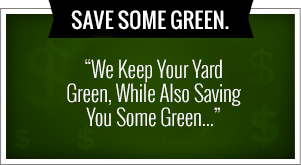 By using Green Leaf Lawn, we can save customers both time and money to focus on doing things that they enjoy the most. Let us take away the stresses and headache their associated with lawn and home maintenance I giving you back the time you need to enjoy your life with your family. We take pride in having a routine schedule so that there is never any question about your lawn and when it will be manicured. Keep a beautiful lawn year-round and become part of our team that enjoys 24-hour customer responsiveness. 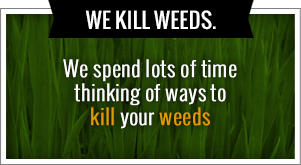 If there’s ever a lawncare emergency we want you to call the experts at Green Leaf Lawn take care of the problem. We give you answers and we take care of your needs in a timely manner to try and exceed your expectations every time. This is one of the reasons that Green Leaf Lawn is a top lawncare service provider of choice for some of the top companies and homeowners around the Tulsa, Oklahoma area. We are here to help hoteliers, business owners, and property managers with all of the holiday lights installation and lawncare needs that they’re looking for. If you need professionals to decorate your home or business for the Tulsa holiday seasons, Green Leaf Lawn is here to help you and we are ready to give you and your family the right look at the right price. Don’t let the holiday stress you out this year and give us a call today at 918-640-6405 or visit us online at www.greenleafweedcontrol.com for more information about what we can do for you and your family. We look forward to servicing you in taking care of your Tulsa Christmas Lights displays.